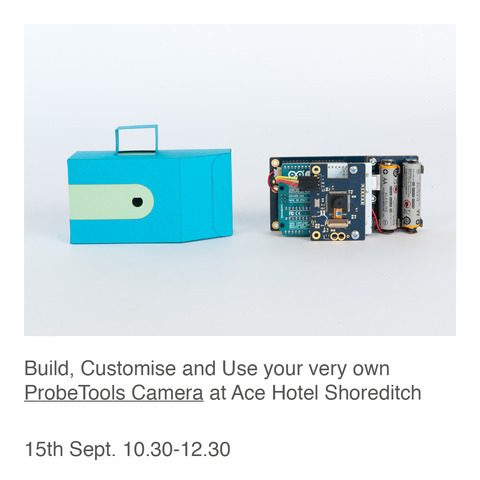 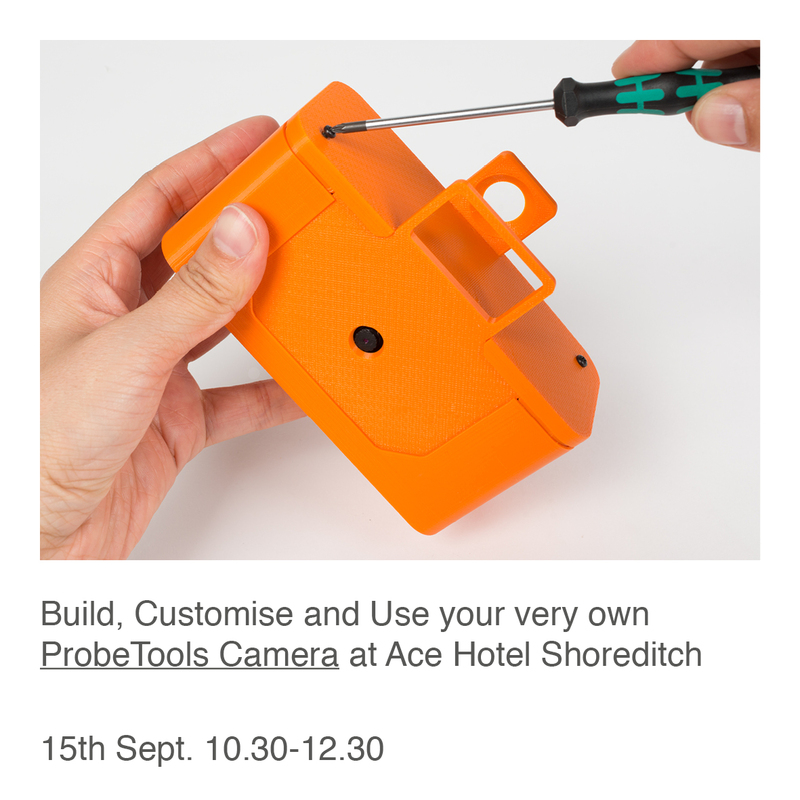 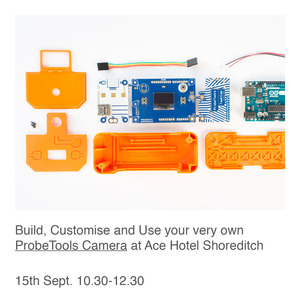 A ProbeTools Camera workshop encompassing making, photography and user research at the Ace Hotel Shoreditch on Saturday September 15th 2018. The 2 hour hands-on workshop begins with an Introduction to Cultural Probes by Professor Bill Gaver. 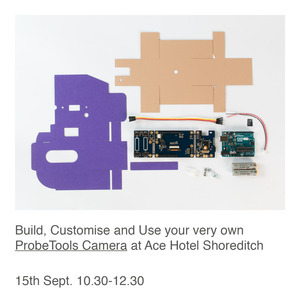 Participants are then invited to assemble, program and use their TaskCam Camera in a mini photography study around Shoreditch.